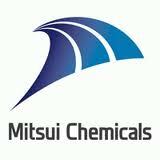 Bioscreening Company Directory - Specialty Chemicals - Mitsui Chemicals, Inc.
Directory Specialty Chemicals Mitsui Chemicals, Inc.
Mitsui Chemicals is a Japanese-based producer of petrochemicals, polymers, industrial chemicals, fine chemicals and engineering materials. Its three main business areas are Performance Materials, Advanced Chemicals and Basic Chemicals. Mitsui Chemicals Logo (Source: Mitsui Chemicals) In its business plan, Mitsui Chemicals will concentrate on expanding and growing its high performance materials business. The company will also strengthen the profitability of its petrochemicals and base chemicals operations by reconfiguring its business structure and focussing on its internationally competitive core businesses. Mitsui Chemicals plans changes across the group where “function-specific” strategies are to be implemented in areas such as its human resources management, finance, intellectual property and its information systems. It is reviewing the company-wide operating setup in order to prevent accidents and work related injuries, along with preventing any violation of the laws and regulations Headquartered in Tokyo, Japan, Mitsui Chemicals had net sales of Yen1,208bn and 12,892 employees in fiscal year ended March 2010.